By Rita Brhel, API’s publications coordinator, managing editor of Attached Family magazine and an API Leader (Hastings, Nebraska, USA). 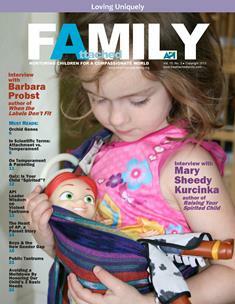 Originally published in the 2013 “Loving Uniquely” issue of Attached Family magazine (available free of charge to API members–and membership in API is free). We often hear the importance of treating children fairly, but at Attachment Parenting International (API), we advocate rather to love each of our children uniquely. Because every child—just like every adult—is one of a kind, each individual parent-child relationship forms to the distinctive shape of each other’s differences in temperament, interests, opinions, aversions, conversions and other subtle nuances of what makes each person and their interactions unique. API celebrates every person’s unique traits, but some children’s differences set them apart from societal expectations enough that daily interactions—whether at home, childcare or school—can be challenging. Rather than viewing our children through the lens of understanding, however, our society’s response is often to see these differences as “symptoms” of a disorder and to follow up with treatments that may not resolve the problem. 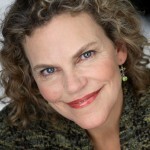 I am excited to share a discussion with Barbara Probst, PhD, LCSW, author of When the Labels Don’t Fit, on her approach to facilitate understanding among parents and teachers in order to discover a new relationship with sometimes-challenging children based on appreciation and respect instead of illness. RITA: What inspired your alternative approach to “treating” children whose differences often lead them to being diagnosed with disorder? DR. PROBST: I feel quite strongly about the way our culture seems to be viewing every difference, difficulty, struggle and quirk—every extreme or unusual behavior—as a disorder, especially when it comes to kids! The idea for When the Labels Don’t Fit really grew out of my experience as a clinical social worker. So many parents were coming to me with kids who were intense, complex, confusing, rigid, provocative, volatile, inconsistent—challenging children who had either been given multiple diagnoses and treatments, none of which really helped, or whom no diagnosis seemed to fit. These parents were understandably looking for some kind of explanation, some way to make sense of their child’s behavior. Yet the only thing they were offered was a negative framework, a way to categorize their child by what was supposedly wrong or missing. There was no framework that also took into account a child’s strengths, talents, affinities, needs, style, temperament—the things a child loves and gravitates toward—as tools for understanding how that child responds to the world and who he or she really is. There seemed to be an assumption that “naming the disorder” was the key to assessing what was going on and making it better—as in the medical way, “fixing the problem” by diagnosis and cure—but it was obvious that this narrow approach wasn’t really helping anyone, neither kids nor their parents. As a culture, we’ve pathologized a whole range of traits and ways of interacting with the world that used to be part of the variety of human experience. Some of the difficulties come from a poor fit with the environment, some from the struggles that are just part of living and growing up, and some are from unrealistic expectations and intolerance for kids who push the envelope or make us uncomfortable. It’s not that a child’s struggles aren’t real or that some kids aren’t truly hard to raise. Certainly, there are kids who do things that seem odd or excessive at various points in their development, and of course it’s painful for parents when they can’t seem to reach or handle a child they love. And it’s not that “anything goes” or that kids don’t need to understand limits and develop empathy. But finding a disease-based category for the child’s problems isn’t the answer either! Just because a child has difficulty managing stimulation or frustration, hates change or needs to ground herself through touch, it doesn’t necessarily mean that those difficulties are indicators of an underlying pathology. DR. PROBST: I knew there had to be a better, more direct way to understand and help these challenging kids and their parents. I began focusing on the specific issue or trait, rather than the label that “explained” the trait as a symptom of one or another disease, zooming in to the feature, like perfectionism or impatience, that lay behind the problematic behavior. I wanted to understand who a child is, not what disorder he or she has—to be truly solution-focused and figure out why the roof was leaking instead of how to reward the child for mopping the wet floor. RITA: That’s a great analogy. How did this approach work in the field? DR. PROBST: I began to apply this new approach in my work, looking for a “difficult” child’s core features as the key to what made that child tick. Again and again, this new approach brought practical and positive results where nothing had helped before—in an amazingly short time! I began to give presentations and workshops to parents, educators and mental health professionals, showing them how to use the temperamental map I’d developed to figure out how unusual or extreme traits interact with elements of the environment, and then how to target strategies—concretely and proactively—to a child’s specific features. It was so empowering! It gave parents real hope. They began to see their challenging child as someone intriguing instead of someone to control or fear. What a great experience! RITA: What temperamental differences do you find create the most friction? How would you define a “challenging child”? DR. PROBST: Let me start by saying a word about temperament. Temperament is your essential nature, your innate way of being in the world. The early view of temperament, however, like the model Chess and Thomas developed in the mid-1970s, tended to present temperament as a series of good/bad polarities: attentive or distractible, adaptable or inflexible, and so on. I find that quite biased and value-laden, to be honest, like another set of pejorative labels. It’s really about the fit between traits and context, not about some traits being intrinsically better than others. After all, a highly tenacious child who won’t cede her turn at the kindergarten easel until she’s satisfied with her painting is seen as resistant and antisocial, but she’s seen as admirably persistent in the science lab. More broadly, if we lived in a culture that valued curiosity and responsiveness instead of order and self-restraint, we’d think that a child who could sit still for an hour, ignoring all the interesting people and impressions around him, as having “attention surplus disorder”! So it varies, and traits that seem to be problematic in one situation or at one age can be an asset in another, the seeds of a child’s authenticity and fulfillment. In addition, temperamental traits exist on a continuum, like a high need for stimulation or a low tolerance for change. Although traits in the middle may make you more mellow and adaptable to a wider range of contexts, no trait is inherently “better” or “worse” than another. Think of it descriptively, rather than judgmentally: Some kids go off on tangents, some can’t bear to leave something unfinished, some find comfort in order and repetition or, on the contrary, always want change. Some like to plunge right in while others take time to warm up and then need to disengage slowly. Within each dimension, there’s a range, with a child tending toward the high or low end when he’s stressed. Friction is more likely to arise, then, when a trait or its manifestation is at one of the extreme ends of the continuum, especially when the environment has a narrow zone of tolerance. A fixed time schedule—“It’s 10:00, put away your journals and get ready for recess”—can cause a shrieking tantrum in a child who has to “complete his mission” or needs to stop incrementally. A classroom full of stimulating choices can make a perfectionistic child, overwhelmed by all the roads not taken no matter what she chooses, highly anxious or irritable. RITA: What about temperamental difference between a child and an adult? DR. PROBST: By “environment,” I also mean the people in the child’s world. If you’re a parent who thinks spontaneity is fun, for example, and you have a child for whom that’s distressing and who really needs to know ahead of time exactly what to expect in order to feel safe, or vice versa, you’re more likely to encounter misunderstanding and conflict. For example, does your child prefer to know what she’s getting for her birthday, or does she want to be surprised? It’s also important to remember that different traits can lie behind the same challenging behavior, so you need to step back and figure out why your angry child won’t go to bed. Is it because of an irregular inner rhythm or pajamas that “don’t feel right”? Does he need to disengage a bit at a time because of high intensity and focus? Does she need to finish her game because she’s a perfectionist who can’t bear to leave something incomplete? Does he need a set of tactile markers to anchor the verbal instructions? Threats, logic, cajoling, even offers of kindness and generosity—“how about an extra story?”—may have nothing to do with the reason your child refuses to go to bed. It’s like throwing solution darts at a situation in the hope that one will somehow stick! It’s not a matter of changing the exterior result—getting the child to “behave” and go to bed—but of understanding the interior cause and the child’s interaction with elements of the environment, including space, timing, tempo and sensory factors. So a “challenging child” is one whose unusual, extreme or erratic traits have been misunderstood and mishandled, often due to a poor contextual fit. Your child’s need for movement or silence or control still must be met proactively, but a need that’s been respected and met, even partially, tends to lead to far less “challenging behavior” than a need that’s been ignored, denied or shamed. 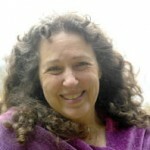 RITA: What steps would you suggest for a parent seeking to learn a different way to look at and act toward their child? DR. PROBST: One of the most powerful things parents can do is to change their language. Describe your child, to yourself and to her, as organized rather than obsessive, curious about life rather than distractible. Instead of calling her picky, tell her: “You sure do know what you like!” Instead of stubborn: “You’re not a quitter!” That helps her feel she’s not fundamentally defective and helps you feel more open and positive, which results in a less tense relationship that benefits everyone. You can also use language to put borders around troublesome behavior. “You’re the kind of person who has a tough time with disappointment (or waiting, feeling rushed or feeling there are too many rules for how to do something).” That gives a precise, bounded and concrete place to begin, rather than making a child feel globally wrong or defective. Tell your child: “I see that you really like to make your own decisions.” Include that feature in advance, rather than punishing your child afterward for asserting her desire to be in control. Give her a way to be involved in the decision about how to clean up, for example, before it’s time to clean up. This kind of practical, respectful approach is so much more effective than trying to maintain complicated systems of points and penalties! Remember that your child is doing the best he can under the circumstances, given his limited resources. It’s not about reward and punishment, but about the power of self-knowledge. Your goal, in the end, is to help your child be happy and successful because of who he is. RITA: Some parents still struggle to set limits with their children. It’s as if they and their child aren’t talking the same language. A child who can’t bear disappointment needs a backup plan that’s already in place right from the beginning. For example: “My Plan B is chocolate chip cookie dough ice cream if they don’t have rocky road.” Your child can figure out his backup plan before getting in the car to go out for ice cream, then write it on an index card and put it in his pocket. Unexpected let-downs are harder, but the Plan B approach will be more likely to be accepted if your child has already practiced it in other situations. A child with a ten-minute attention span needs a planned break after eight minutes. A child who needs to control and becomes angry at not being in control needs a safe avenue to express power with temporal and spatial boundaries. What can she control? Can you give her a Magic Coin that she can “spend” each day on something where she can be the “boss”? That helps her learn to make and live with choices. Remember: If the only power you give a strong-willed child is the power to refuse, she will surely use it. And so on. Once you get the idea that it all stems from “the kind of kid this is,” it becomes so much easier to be effective. Then think about his temperament. Is he the kind of person who feels better when he plunges into a new activity or when he has a quiet space to be alone? Does he tend to ruminate and thus need diversion to interrupt the cycle, or does he lock his feelings away and need help bringing them to the surface? Too often, unfortunately, we end up rewarding a child for not being himself. 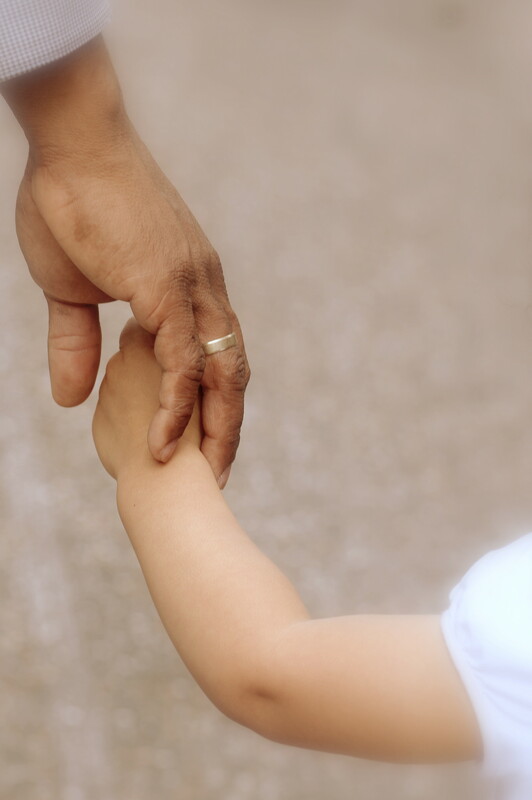 A child who needs to touch or move, for instance, gets praised for not touching or not moving, rather than being given a safe way to meet his temperamental need for touch or movement. Then we’re surprised when that child becomes depressed or anxious or hostile. Begin at the level where success is possible and build from there. Lowering the necessary dose gradually can be an empowering way to help a child manage her need for movement, praise, control and so on. RITA: How do parents know when they may need more help, when a child should be evaluated for ADHD, bipolar disorder, obsessive-compulsive disorder, et cetera? DR. PROBST: Certainly there are children whose difficulties go beyond an unusual temperament or poor temperament-environment fit. It would be just as wrong to dismiss a serious condition as it would be to over-diagnose a minor one. When we call every moody adolescent “bipolar” or every fidgety preschooler “ADHD,” we trivialize the very real suffering of those who truly do merit the label. Deciding if a child may have an enduring problem beyond a quirky temperament is a complex process. It’s important to remember, however, that there’s no objective test for any of these diagnoses like there are for medical conditions like asthma or diabetes; the determination is always a subjective one. The criteria rely heavily on words like “frequently” and “often” and on checklists completed by adults rather than on a child’s self-report. But if difficulties persist despite strategies to reduce stress and maximize adaptation, are present under a wide range of circumstances and cause significant impairment, then it may be wise to seek an outside evaluation. It’s also important to remember that a child may still need help, even if she doesn’t necessarily meet the criteria for an official mental health diagnosis. The way our insurance reimbursement system is set up requires some diagnosis in order to justify the need for treatment under the principle of “medical necessity.” So the mental health clinician may select the label that seems the closest match, the least stigmatizing or the most likely to get the child the services he needs. Yet in working with the child, what’s often more significant than the formal label are the specific impairing traits, which may or may not correspond to items on the official symptom list. For instance, “doesn’t feel time” and “is a perfectionist” aren’t on the list for any of the educational or mental health categories, even though they’re common problems. RITA: Thank you so much, Dr. Probst, for your time and insights! Can you share any final thoughts on this topic? DR. PROBST: It’s vitally important for us to keep questioning the idea that “difficult” or “different” means disordered! We need to reject the idea that every child who’s hard to handle or doesn’t fit in has a psychiatric disorder. Many children go through tough times or seem extreme, eccentric, provocative or immature at various points in their development. But that doesn’t mean they have a disease that needs to be cured, medicated or taken as the most important aspect of who they are. We need to ask the right questions. Instead of trying to figure out if a child has ADHD, Asperger syndrome or bipolar disorder, we need to take the labels apart, zoom in to understand each feature and find specific places where change is possible. We need to identify the source of a problem—usually in unmet needs, discord and imbalance, not from something inherently wrong or missing in the child’s makeup—before trying to solve it by generic approaches. We need to tailor every strategy to fit a child’s specific traits and needs, and to take responsibility for how we, too, need to adapt. We can’t ask our kids to do all the work. 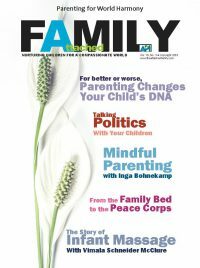 You can read more in the “Loving Uniquely” issue of Attached Family magazine, in which we delve into temperament and how it intersects with parenting and the development of attachment style, and we challenge the notion that every hard-to-handle child needs a diagnosis. The magazine is free to API members–and membership in API is free! Click the link above to access your free issue or join API. 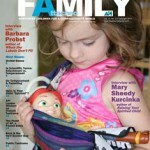 By Lisa Lord, editor of The Attached Family.com. Though research continues to show that spanking and other forms of physical punishment are both ineffective and harmful, and despite many nations across the globe instituting bans on corporal punishment in schools and homes, the laws of the United States still do not reflect this reality. Corporal punishment teaches children that violence is a way to solve problems. Children worried about being paddled are not free to learn. And according to The Center for Effective Discipline (CED), certain groups–poor children, minorities, children with disabilities and boys–are hit in schools up to 2-5 times more often than other children. 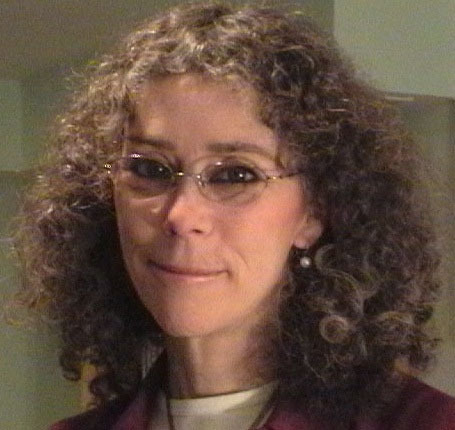 Nadine Block, cofounder of the CED and SpankOut Day April 30, is committed to changing this for American children and children everywhere. Block spearheaded the advocacy movement in Ohio, USA, that resulted in a legislative ban on school corporal punishment in that state in 2009. In her latest book, Breaking the Paddle: Ending School Corporal Punishment, Block shares her experience and wisdom to inspire others to join the movement to end corporal punishment of children, and to give them the tools to make it happen. It was enlightening and inspiring to talk with her about what advocates have been able to achieve thus far, how much farther we all have to go to see the end of child corporal punishment and how the United States compares to other nations when it comes to legally-sanctioned physical punishment of children. LISA: Tell us about your new book Breaking the Paddle: Ending School Corporal Punishment. What inspired you to write this? NADINE: I wanted to bring attention to the existence of the practice, because over 200,000 children in 19 states are still being permitted to be hit for misbehavior. This is shameful and unnecessary—and a lot of people don’t know it’s still going on. I also want to give people tools to protect their children as much as possible if their school districts still permit corporal punishment, and to help end it for all children. It is not enough to say, “No paddling.” You have to show people how it can be ended and encourage them to do so. My experience of more than 25 years of working at all levels–local, state and federal–gives me a unique perspective to be able to do that. About 70 percent of adults in surveys say we should ban it, so I wonder where is the tipping point? When can we get this done? LISA: How do you feel about the U.S. status globally on the topic of corporal punishment of children? NADINE: I am embarrassed that we are the only country other than Somalia that has not signed the United Nations Convention on the Rights of the Child, which provides for giving children basic human rights including protection from harm. I am embarrassed that over 100 countries have banned corporal punishment in schools and that 36 have banned it in all settings, even homes, but we allow it in schools in 19 states and in homes in every state. LISA: As a parent, the thought that someone else would be legally allowed to hit my child is shocking. NADINE: In some school districts, parents have no right to disagree or to prevent this. In those cases, we tell the parents to write a letter stating that under no condition should their child be hit, and if the school needs help disciplining the child, then the parent will come to school and meet with the staff. Then the parent should sign and date the letter and try to have the child’s pediatrician sign as well. I’ve found that most school districts would be hesitant to hit that child, because the parents have said unequivocally not to. LISA: You worked as a school psychologist and saw the effects of corporal punishment firsthand. You said in a previous interview with API, “One cannot study learning and behavior without becoming opposed to physical punishment of children. It is harmful and ineffective in the long term.” What kinds of effects on learning and psychological well-being have you seen? NADINE: We know that people learn best in a more nurturing environment. It is hard to learn when fear is a motivator. Kids may also become school resistant and not want to go to school, and part of the reason is fear of getting paddled, especially for sensitive children who are hurt by even seeing someone else paddled. In my book, I have an example of a reading teacher who tells how kids would come into her reading group anxious and worried, either because they would be hit when they got back to the classroom for something they did, or because of something they saw. It is not a way to teach children to be independent. What does this teach them about [what to do] when the punisher isn’t nearby? This is not what we want for the long term. We want people who are independent and know that following rules is good for them and the country and their family, not just to escape punishment. LISA: Why do you think that policymakers ignore research when it so plainly spells out the risks of corporal punishment on children? Who is opposing ending corporal punishment in schools? NADINE: A lot of it is regional. There are areas of the country, particularly the South and rural areas, where people tend to be more supportive of the use of corporal punishment and do not want it to be interfered with. Some have not fully examined it and give a knee-jerk response. It’s a very emotional issue for them. To question the use of corporal punishment is to question the parenting they had, the parenting they are giving and authority in general. I believe it shows a fear of losing authority. They look through a prism of tradition, order and faith [religion]. They believe that parents are losing authority and children are worse than ever before in history. They do not believe the statistics that show young people today are less violent, have fewer out-of-wedlock babies, and do less drugs and drinking. They read about a few bad apples and extrapolate that to a whole population. LISA: What is your strategy when you meet this kind of resistance? NADINE: The first thing to realize is that social change is slow, but people do change over time. If they hear a message over and over again, they tend to come around. You have to be temperate, consistent and persistent. You may move people, but it may not happen quickly. In the beginning, it was difficult because I thought that bringing research and reasoned arguments would change hearts and minds. I learned it is much more difficult. You have to appeal to emotions, too, such as with stories about children who are injured. You have to be consistent and temperate in response to critics, who are often quite angry. We move slowly in protecting children but have not gone backward. Knowing you are on the winning side makes advocacy much easier. If you can get people in the community or the church to come on the side [of opposing corporal punishment], it’s easier. For example, when I found that several African American school board members supported corporal punishment and didn’t want it taken out of schools, Dr. Alvin Poussaint and I asked 20 national African American leaders–including the Reverend Jesse Jackson, Sr., and Marian Wright Edelman [founder and president of the Children’s Defense Fund]–to sign a proclamation calling for an immediate ban on corporal punishment in schools. Having that proclamation come from inside was helpful. LISA: If you are from one of the states that doesn’t allow corporal punishment, then it might not be on your radar screen at all. NADINE: Right. I think that people from the North, such as New Jersey, where corporal punishment has been banned a long time, need to start moving toward the more European model, which is to ban it in all settings, like 36 countries have done. We can do that incrementally, if necessary, like not allowing the use of instruments to beat children or not allowing children with disabilities to be hit. Protecting children still needs to be on the radar. There have been a few bills in states like Massachusetts where they have tried to do that. But they will have to try more than once to educate people about why this is needed. It’s so much easier to kill bills in legislature than to pass them. LISA: In a part of your book, you mention that most educators are not sadists, but they are using the paddling because that is all that is promoted at the school for discipline. Perhaps you can recommend some great positive discipline programs for schools that want to consider transitioning from corporal punishment? NADINE: Our education goal is to improve instruction and behavior for all students. We want to have caring, informed, empathic, productive citizens. It means using misbehavior as an opportunity for teaching rather than just punishing. 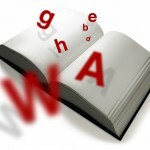 It means recognizing that most misbehavior is a mistake in judgment. It means thinking about what we, as adults, want to happen when we make mistakes. We want to learn from them, not be hit for them. It means teaching children social skills they need to behave appropriately, such as listening, asking questions politely, cooperation, managing anger and disagreement, and sharing. In school districts, there is either an atmosphere of looking at things to punish or looking for a way to solve problems. I’d rather be in a district looking for ways to solve problems. LISA: How can parents and professions start an advocacy effort and locate like-minded policy lawmakers to join them? NADINE: Advocates for bans should check the list of national organizations that have positions against school corporal punishment. There are more than 50 of them on the CED website. Start by gathering a support group. At the state level, work on those organizations that already have positions against corporal punishment. Get them to sign a proclamation calling on the state legislature to ban it. Having a long list of organizations shows support for a ban. Locally look at the organizations that have positions against corporal punishment and find members in the community, such as PTA members, psychologists and mental health professionals, and physicians, especially pediatricians and ER [emergency room] doctors who see paddling injuries. Parents who have had children injured often make wonderful supporters. As for lawmakers, take a look at their websites. What bills have they introduced? What is their background? For example, Governor Ted Strickland was a compassionate psychologist prior to becoming a legislator, and he was instrumental in getting a ban in Ohio schools. If you are trying to change a school district policy, attend a board of education meeting. You can tell a lot about the board members by questions they ask, their empathy for children and parents, and their responses. This is what I did in Ohio. The states around Ohio, like Kentucky and Indiana, still have corporal punishment, but we don’t because we worked at it. LISA: What effect do you hope your book will have on society? NADINE: First I want to say corporal punishment in schools is still going on. It isn’t appropriate, and we need to change it. Also I want to tell people how they can do this, to give them the tools and the process they need to go through. If you take on something like this, you will meet wonderful people, you will feel good about helping children, and you will teach them that giving back is so important. You get so much more back than you ever put in. No state has ever rescinded laws in corporal punishment in schools. Some people have tried, but it has never happened. This is a winning-side argument—and it is a great side to be on. It is the winning side of history. Visit the Center for Effective Discipline (www.stophitting.com) for information and resources including effective discipline at home, successful positive discipline programs for schools, tools for advocacy efforts, and the latest news from the CED. The more stories I hear from parents, the more I know that trusting our children’s capabilities and detours is the path to connected relationships and success. Sometimes trusting our children goes against our standards of good parenting. But who are we to know what our children should do with their lives; who are we to know what they need in order to get there? Our job is to remove the obstacles in their way of reaching their potential and accept and support who they are so they will have a firm foundation on which to launch into their futures. A parent in my group put trust to the test. Her son didn’t like to read. He figured out a loophole in the school’s point system for reading. If he performed poorly, he would be put in the achievement bracket that required fewer points to get by. “He basically was reading See Spot Run books,” his mother told us. 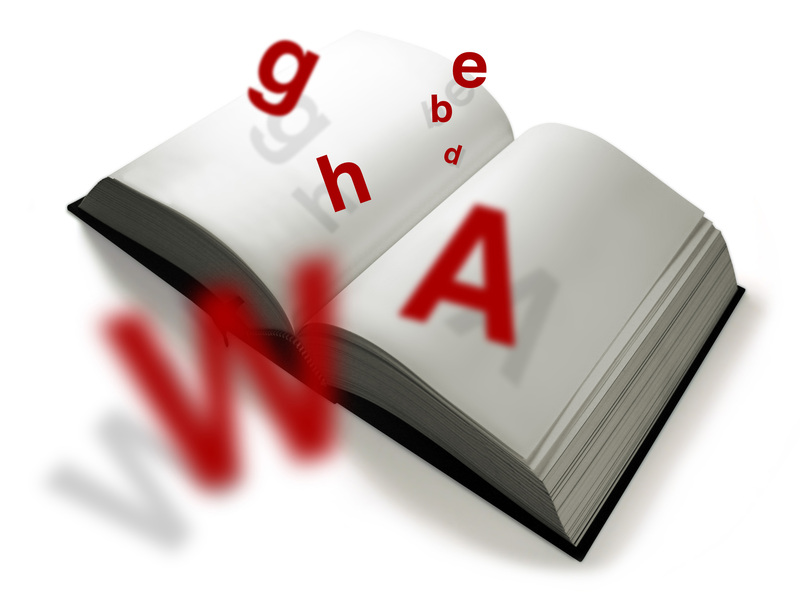 Her husband, who does not read, was furious and kept on him to no avail. She supported his decisions and left the process up to the school, although she did share her own experience of pleasure from reading. Allowing him to fail and trusting his reading capability, she maintained connection. With her trust, he discovered Harry Potter and everything changed. When my daughter was little she begged to play the violin for a couple of years before I found a teacher. Practice turned grueling. When we reached the point where our relationship was at risk, I allowed her to stop. A year later, of her own accord, she took it up again. At 13, she bought herself a $1,700 violin. Today she is a professional composer. Who knew? When we support and trust who our children are and know it is not up to us to find their gifts and talents, we learn that all they need is self-confidence to find their way. Children resist with all their might when they think we are against them—when we criticize, blame, threaten, lecture—when they don’t trust that we understand and accept them. To find their way, they need to trust us to trust them. We parent by the misconception that our job is to teach our children how to act and perform in the world, and if they don’t do it right (according to whom?) then they must be forced with some kind of manipulative, punitive tactic to get them on track. What track? Whose track? 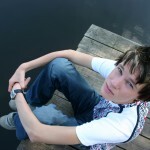 What if your child is meant to establish a new track or a track you don’t approve of? What if it’s a track that public schools don’t teach? We are fraught with the anxiety of parenting, fearing our children will fail unless we teach them … What? How did you like your parents telling you what to do and when to do it? Did you ever think, They’re clueless, they don’t understand me, they don’t trust me? What children need from us is our guidance and leadership. They need us to keep them safe and to make the big decisions they cannot be expected to make—to know that they should not be expected to act like a grown-up to know better, to understand tooth decay, to want them to do their homework, to hurry to get out the door in the morning. We must trust that they want to be successful, that they want to please us, the most important people in their lives. They want to learn; they want to find their paths. It’s when we get in their way with our own agendas, our critical tones, and our disapproving eyes that they come to the conclusion there is nothing out there for them and that the most important people in their lives can’t be trusted. Guidance and leadership does not mean engaging in power struggles to prove our rightness and put down their arguments. It does not mean punishing them, taking away their favorite things, isolating or grounding them—making them feel miserable and thinking that will motivate them to do better. Likewise, it does not mean manipulating them with bribes and rewards. Our intentions are well-placed; the methods we use to motivate are misguided and wrong. They send our children in the direction we most fear. They leave our children floundering in a world of unpredictability where they turn to their peers for guidance and leadership. Practice trusting. Start by simply listening and truly hearing what they are trying to tell you, even and especially when you don’t like the noise they are making. There are many ways of raising children. Of course. Some parents breastfeed, some don’t, and for the most part, kids turn out fine. Some parents stay at home with their kids, some parents put their kids in daycare, and for the most part, kids turn out fine. Some parents enroll their children in public school, others homeschool, and for the most part, kids turn out fine. There certainly are parenting styles that are in need of improvement, to say it lightly, such as those that tend to be so strict that they could be labeled as abusive or those that are permissive enough to border on neglectful. But there is no one right way to parent, if your goal is to raise children who are functioning members of society. Many people who have heard of the term attachment parenting probably envision babies cozied against their mothers in wraps or co-sleeping with their parents. However, this parenting approach of forming close bonds with children through consistent positive interactions is not limited to infants and toddlers. Research shows that adolescents go through a period of such tremendous change that they, too, require some of the same foundations that attachment parenting provides. 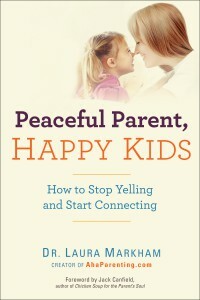 Come join API as we read Peaceful Parent, Happy Kids: How to Stop Yelling and Start Connecting by Dr. Laura Markham through the end of April. Here are some of the topics being discussed: Yelling; nurturing yourself through challenging times; special time; disconnection and daily rituals. We look forward to seeing you online either through our API Reads forum or through our GoodReads program. Happy reading! Any questions? Please email stephanie@attachmentparenting.org. “I want only watermelon, that’s what I want. Nothing else!” said the boy emphatically. We all want our relatives to see how wonderful our kids are. Unfortunately, taking children to visit over the holidays often doesn’t really give them a chance to shine. The kids get off their routines, overstimulated and disconnected from us. At that point, they crash and burn. But there are some tips that will make a smooth visit more likely.